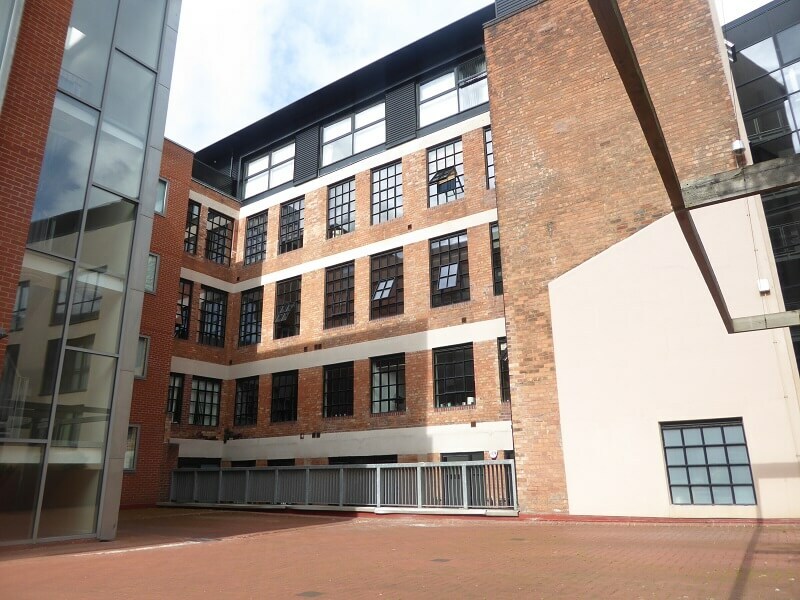 Wexler Lofts is a unique & chain free two bedroom apartment in this fabulous converted Jewellery Quarter warehouse within easy walking distance of picturesque St Paul’s Square. This beautifully designed, airy & light second floor apartment comprises of an open plan living/ dining/ kitchen area including high ceilings with fabulous industrial features, family bathroom, and master bedroom with en-suite. Double Second bedroom also with fitted wardrobes. The apartment benefits from one allocated parking space located in the basement. Features of this high specification apartment large dual aspect windows in living area and high ceilings throughout with industrial effect features. Wexler lofts benefits from a secure door entry system, underground parking, lift & concierge. Wexler is ideally situated for access to the A38M and M6. The Jewellery Quarter is within easy walking distance of the commercial district of the city, Grand Central Station and all the city’s retail and recreational facilities. Reception Hall 4’8″ x 9’6″ (1.41m x 2.89m Approx. as irregular shape) Wood laminate flooring. Slim line Electric wall heater. Reception Cupboard Offering fantastic storage space. Housing hot water central heating boiler. Main Bathroom 7’7″ x 6’6″ (2.30m x 1.98m Approx. as irregular shape) Stylish bathroom suite. Wash hand basin with Stainless steel mixer tap and built in vanity unit including mirror & storage. Bath with tiled splash back and mixer tap. Overhead shower enclosure with glazed door and shower unit. Wall mounted mirror. WC. Recessed down lighting. Tile effect flooring. Bedroom Two 9’7″ x 9’8″ (2.93m x 2.95m) Spacious double bedroom. High ceilings with industrial effect finish. Double glazed window. Central light fitting & additional Wall light. Slim line electric wall heater. Laminate wood flooring. Built in mirrored sliding wardrobes. 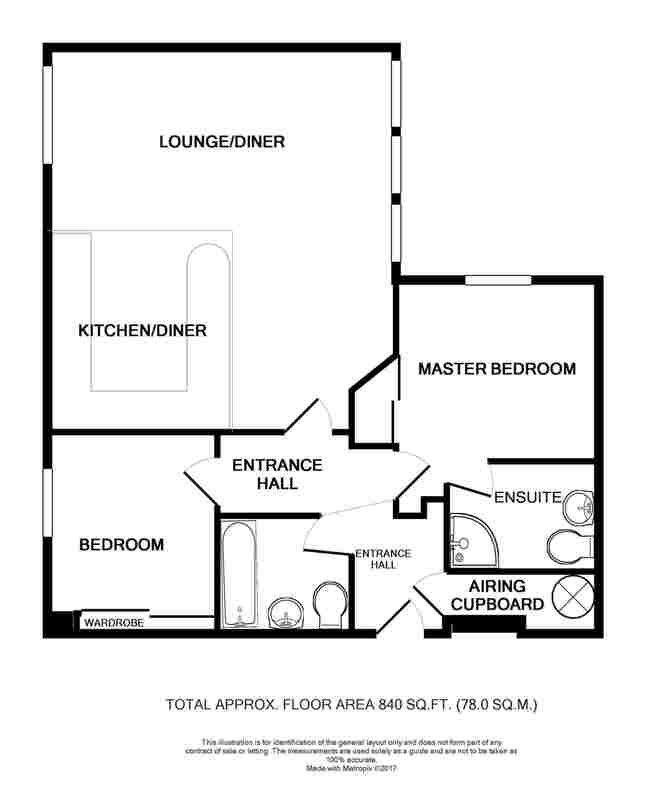 Master Bedroom 8’5″ x 16’0″ max (2.57m x 4.88m Approx. as irregular shape) Accessed via the reception Hall. Bright & spacious accommodation with high ceilings & industrial effect finish. Laminate wood flooring. Slim line electric heater. Large feature double glazed windows. Multiple wall sockets. Large mirror fronted fitted wardrobes offering ample storage. Central light fitting along with additional wall lights. En-suite 5’9″ x 8’1″ (1.76m x 2.46m Approx. as irregular shape) Matching cream bathroom suit. Wash hand basin with Stainless steel mixer tap and storage underneath. Spacious circular shower enclosure with glazed door and shower unit. Built in mirrored vanity unit. WC. Tiled effect floor. Stainless steel Towel Rail. Living/Dining Area Stylish & individual accommodation. Wood laminate flooring. Dual aspect and Large double glazed windows overlooking the courtyard. High ceilings with feature industrial finish. Multiple wall sockets. TV Aerial socket Slime line electric heater. Fully Fitted Kitchen Incorporating a range of contemporary wall & base mounted units with granite worktops. Additional overhead cabinet space. Concealed fridge/freezer. Concealed ‘Hotpoint’ Washer/dryer. New concealed ‘Baumatic’ Dishwasher. Ceramic hob. Stainless steel ‘Baumatic’ Oven & Microwave. Stainless steel sink with mixer tap and drainer. Recessed down lighting. We are advised by the vendor that Wexler Lofts has one allocated parking space in the car park.